LEXIE CANNES STATE OF TRANS covers and comments on transgender matters and issues and always puts the “T” ahead of LGB. I use the gender-correct names, pronouns, and gender identity — things often used incorrectly, sometimes deliberately with the intention of oppressing, in media sources. When necessary, I’ll attach a [Trigger Warning] to sources if they are particularly offensive to trans people. 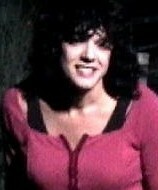 Lexie Cannes is a fictional transgender character in the award-winning feature film LEXIE CANNES. Her humorous and rational thinking lives on in cyberspace. When posting in the comments section, please stick to the topic of discussion, not the messenger(s). Guessing games are for kids and don’t belong here. Thanks for your comments! We avoid discussions of personal nature here. Good luck to you! I am totally loving this blog! This is a very enlightening site for me. What is the best way to reach out to the trans community to ask for crowd-funding support for my daughter. She is planning on touring the USA performing (she’s an edm producer, DJ and composer) but needs funds to get her there before anyone will book her. I’m sorry to say that you’ll find it very difficult to raise funds in the trans community — Surgical and medical expenses are a high priority for many trans people. Thanks for the reply. I fully appreciate your point – my daughter’s surgery was a substantial cost for sure. Her experiences and achievements in the electronic music industry could provide a positive success story for others if you, or someone you know, were interested in following up. D0 you have a link to a published article about her? There are others that I can send if you like but that is the most recent. Thank you for the article… as a trans woman and writer, I truly appreciate your honesty and openness in all that you write. I have found, in self-acceptance, there is a strength to be shown in open, honest, and vulnerable communication. I recognize that in you, and am humbled by your example. In addition, thank you for the link to Autostraddle’s writer submission request page… Thanks to you, I have submitted the first articles in my renewed life. How can I contact you if I want to discuss screening the Lexie Cannes movie? I would also like to screen the movie as well is that a possibility? Contact me via Facebook PM. Thanks! Making death threats on the internet is the sign of a coward. FYI: A story out of Houston from about a week ago. Brutal murder of a Transgender woman and her friend in Midtown Houston by a group of 8 individuals. Vigil was held today (4/18) in the Quadangle @ Rice University in Houston. Just want to send my thanks for this site. Your posts are always interesting and informative, even though I am 3500 miles away in Scotland.